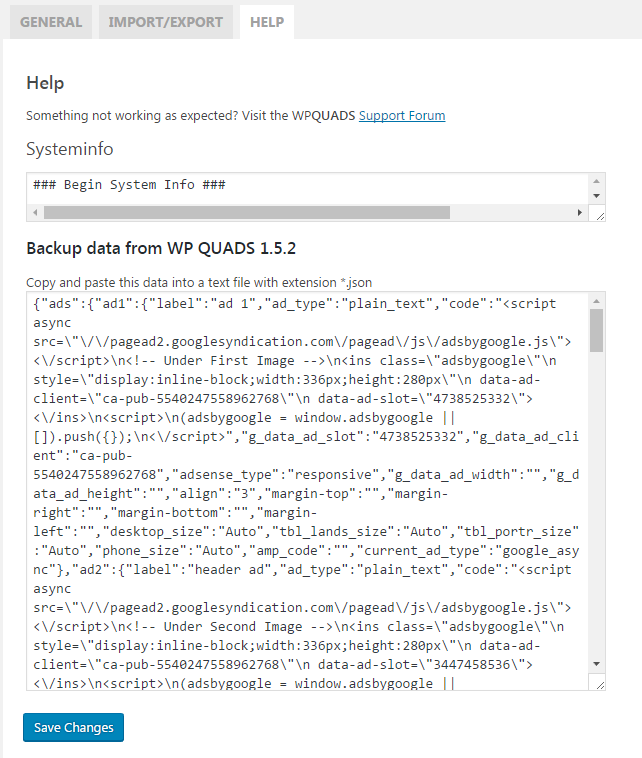 If you are updating to a new version of WP QUADS and things are going wrong and the new version of WP QUADS is not working as expected like an ad is not visible or your settings are lost you can go back and reinstall the previous version of the plugin. Whenever there is a huge update and WP QUADS needs to do much behind the scenes it stores a backup of the previous plugin settings data. So to install a previous version of WP QUADS it’s important that you first store the previous settings data to a local file on your computer. After doing this deactivate and uninstall the current plugin from your WordPress admin dashboard as you usually do. Next go to wordpress.org and download from there the previous version of WP QUADS. You will receive a file titled quick-adsense-reloaded.1.5.2.zip where the number reflects the version of the plugin you have downloaded. Activate the plugin. Than go to WP QUADS->Import/Export tab. 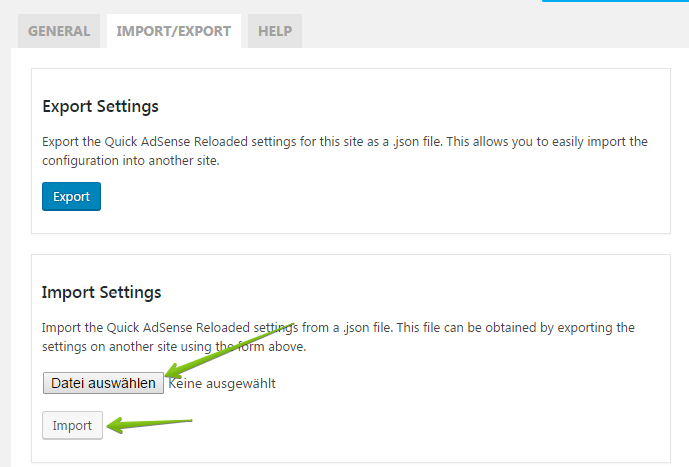 Select from there the file settings.json which you have stored previously and start the import process. Now you are done and have successfully switched back to the previous version of your WP QUADS plugin. This process is working with all plugins which have a import export function and is not limited to WP QUADS only. Keep in mind before switching back to a previous version it makes sense to open a support ticket. This helps us to resolve the issue you have.